The Monash Centre for Electron Microscopy (MCEM) is a central Monash University Technology Research Platform. It provides a world-class capability in electron microscopy to enable researchers to solve major scientific challenges. MCEM conducts innovative research in electron microscopy, and provides advanced instrumentation, expertise and training to researchers from across the university, government and industry sectors. A brochure provides a small snapshot of just some of the resulting research impact. Online Bookings Access the MCEM Online Booking System Book now. Request Access All the information you need to request access to MCEM Find out how. MCEM has a suite of advanced instruments that can determine the composition, structure, and bonding of materials down to the atomic scale. In 2008, MCEM established Australia’s first ultrahigh resolution (“aberration-corrected”) microscope capability. In 2019, MCEM will commission a pioneering new transmission electron microscope, and further push the boundaries of materials characterisation. The Monash Ramaciotti Centre for Cryo-Electron Microscopy (Cryo-EM) is a leading research facility for biological electron microscopy. Our instruments are housed in a purpose-designed building that has won awards for engineering and architecture. The building provides exceptional mechanical, thermal, and electromagnetic stability, delivering ultimate microscope performance. MCEM serves and collaborates with researchers from Monash University, other universities, government research agencies and industry. 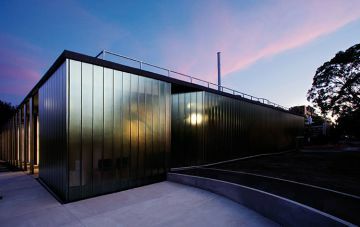 It provides a complementary facility to the Australian Synchrotron, which is adjacent to Monash Clayton campus.